Come home to Alpha Delta Pi and find women who are true and loyal, just like our blue and white colors represent. 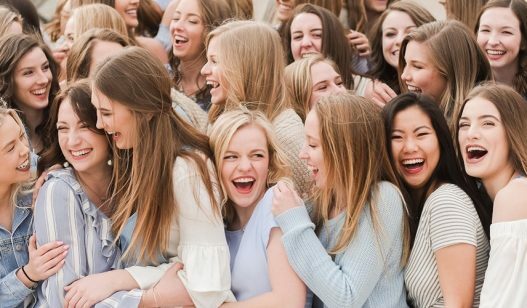 Look around any university campus and you’ll find faces–faces searching for a place to call home, a place like Alpha Delta Pi. Come home to Alpha Delta Pi and find women who are true and loyal, just like our blue and white colors represent. ADPi sisters are leaders and visionaries. We are SGA senators, artists, student athletes, and scholars. We are committed to sisterhood, values and ethics, high academic standards, and social responsibility. We committed to those when we established the first secret society for collegiate women in 1851 at the first university chartered to grant degrees to women. We are committed to them still today. We are the First. Finest. Forever. Take a look around and learn how Alpha Delta Pi can impact your life as a leader and volunteer. and link up with us on Facebook, Twitter, Instagram and Pinterest and see our vibrant personality! Learn more about Panhellenic Sorority Life.